The Car GuideTests and FeaturesSpotlight on2019 Mazda MX-5: More Power! 2019 Mazda MX-5: More Power! The Car Guide is heading to Toronto this week in order to get our grubby hands on the 2019 Mazda MX-5 roadster, which benefits from some engine modifications to increase its output. More of a “want” than a “need,” the MX-5 will now offer 17 percent more power for a total of 181 hp, which will peak at 7000 rpm, now that the engine redline has been raised from 6800 to 7500 rpm. Torque is also up by three pound-feet, from 148 to 151, but peaks at 4000 rpm instead of 4600. Mazda’s engineers reduced internal friction and exhaust loss, improved the combustion process, added a dual-mass flywheel and swapped the exhaust system. Also, the final drive ratio has been increased from 3.454 to 3.583, which should also enhance performance. The Japanese brand claims the 2019 Mazda MX-5 is quicker and more fun to drive, and we’ll check out if that statement holds true. We’ll also be getting a special treat, as Mazda promised us a ride in some of their heritage vehicles. 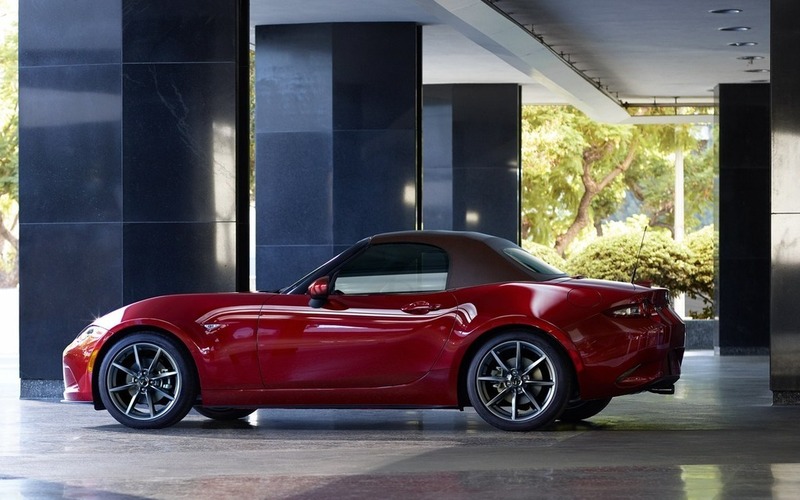 We’re immediately thinking Cosmo, RX-7 and first-gen MX-5, which were on display during the Canadian auto show season. We’ll keep in touch later this week with our assessment of the new-and-improved 2019 Mazda MX-5.